This is the 'Crooked Surgeon', its pants ! 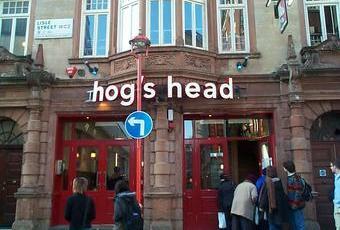 when i went it was still the hogshead and did a deal of 4 pints of stella for a tenner! haven't been since though, and that deal probably finished pretty quick! Paid �3.40 for a pint of stella! Now called The Crooked Surgeon - "crooked" being the operative word. �3 for a pint of Greene King IPA. Needless to say, I told them to f*** off. Avoid like the plague - places like these need to go out of business, and quick.